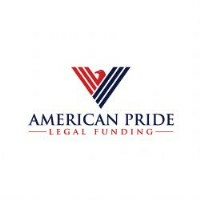 Lawsuit Loans, Litigation Funding, Lawsuit Cash Advance, Pre Settlement Funding, Settlement Loans, Car Accident Loans. Have you been injured in a car accident? Do you need financial assistance? Youâ€™ve come to the right place! Weâ€™ve helped thousands of people just like you. Auto accidents often result in serious injuries and you may be running low on funds or even out of work. With a car accident loan you can get the money you need now before you settle your case. We provide immediate cash at great rates. Itâ€™s fast and easy, no monthly payments, no credit checks, and if you donâ€™t win your case, you donâ€™t payback anything. There is no need to accept a low offer from the insurance company, and you donâ€™t have to get behind on your bills. Give us a call today and weâ€™ll answer any questions you may have and start the process. After approval, you can have your money in less than 24 hours.